A new group of celebrities is ready to step onto the dance floor! ABC announced the Dancing With the Stars’ season 25 cast list on Good Morning America on Wednesday, September 6, and it includes Total Divas’ Nikki Bella (paired with pro Artem Chigvintsev) and Shark Tank star Barbara Corcoran (with Keo Motsepe). As in seasons past, many athletes will enter the ballroom when the season kicks off on Monday, September 18. Former NBA player Derek Fisher will partner up with Sharna Burgess, while former paralympic swimmer Victoria Arlen will dance alongside Val Chmerkovskiy. 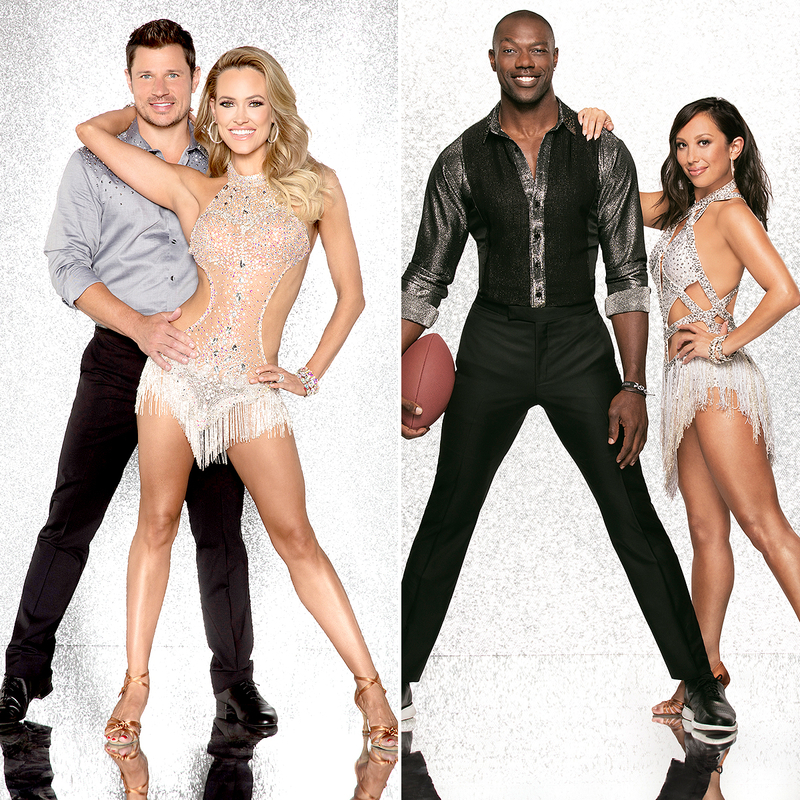 As announced on Tuesday, September 5, former NFL star Terrell Owens will hit the dance floor with Cheryl Burke. Two of the biggest couplings? Nick Lachey will team up with Peta Murgatroyd while his wife, Vanessa Lachey, is partnered with Murgatroyd’s hubby — Maks Chmerkovskiy! Let the battle begin! Stars in music are ready to make moves as well. Violinist Lindsey Stirling will dance with Mark Ballas in the hopes of getting a perfect 10 from the judges. Singer Jordan Fisher will get in the studio with Lindsay Arnold as Debbie Gibson partners with Alan Bersten. Also competing for the champion title are Property Brothers’ Drew Scott (with Emma Slater), actor Frankie Muniz (with Witney Carson) and Pretty Little Liars alum Sasha Pieterse (with Gleb Savchenko). The reigning champion on the competition series is former NFL pro Rashad Jennings, who partnered with Slater to beat out runners up David Ross and Arnold as well as third-place finals Normani Kordei and Val Cherkovskiy on the show’s May 23 season 24 finale. Dancing With the Stars returns TO ABC on Monday, September 18, at 8 p.m. ET.